Check out the most updated and latest information about Kishwer Merchantt's on the Internet.We have 53 videos of Kishwer Merchantt including interviews, events, or public appearances.Kishwer Merchantt has over 228 Fans registered on India-Forums.com. We have 341 Television News articles related to Kishwer Merchantt.Do share your criticism, comments and feedback for the Actor on Kishwer Merchantt's comments page. We have over 68 Photos of Kishwer Merchantt to view and download including Kishwer Merchantt's Wallpapers. I had a lot of love- hate kind of feelings for the character of Nyonika in Kaisi Yeh Yaariaan, but when I look back at some other work, the roles are very much repetitive and on similar lines. 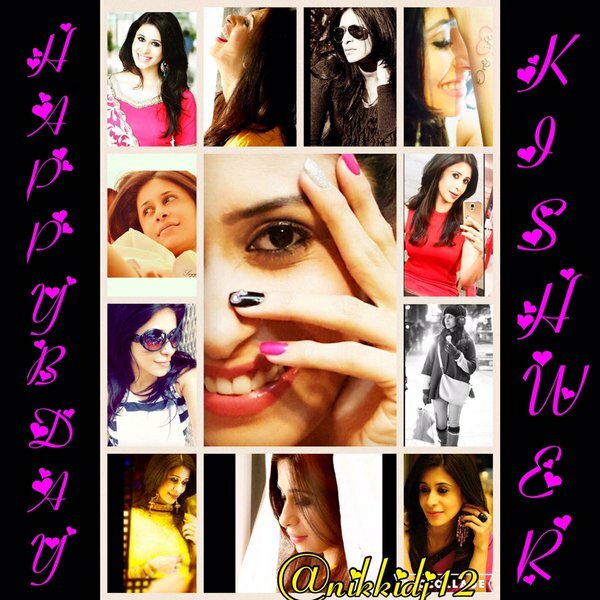 Happy Birthday Kishwer Merchantt... Loads of love and happiness to you. May you achieve everything you dreamt of. wish u nice health and happiness . Stay happy & keep rocking. Miss u kishwer merchantt! Biggboss is dead without you.